Henry Taylor married Martha Ann Houghton in Aug 1, 1822 at Greene Co., GA, USA. Martha Ann Houghton married Henry Taylor in Aug 1, 1822 at Greene Co., GA, USA. James Michael Houghton married Lourana Boykin Thornton in Dec 19, 1822 at Greene Co., GA, USA. 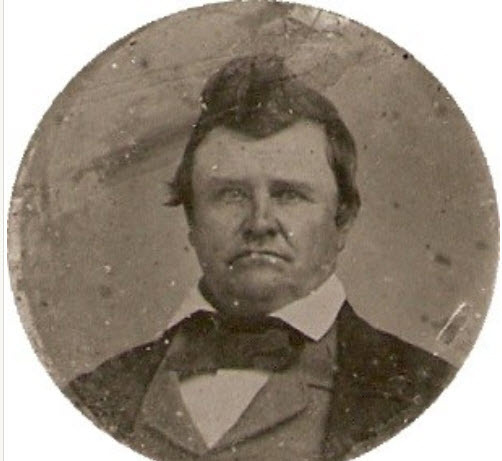 Lourana Boykin Thornton married James Michael Houghton, son of Col. Joshua Houghton Jr. and Doratha Crutchfield, in Dec 19, 1822 at Greene Co., GA, USA. Matthew Houghton married Nancy L. Lumpkin in Sep 13, 1820 at GA, USA. Matthew Houghton married Jane Lumpkin in Jan 20, 1825 at GA, USA. Elizabeth King married Matthew Houghton in Dec 12, 1827 at Greene Co., GA, USA. James Smith married Jane E. Houghton in Dec 19, 1833 at Greene Co., GA, USA. Jane E. Houghton married James Smith in Dec 19, 1833 at Greene Co., GA, USA. Henry Chappel Love married Rebecca Susan Houghton, daughter of Reuben Houghton and Nancy Burke, in Mar 3, 1836 at Greene Co., GA, USA. Rebecca Susan Houghton married Henry Chappel Love in Mar 3, 1836 at Greene Co., GA, USA. Henry W. Houghton married Martha Ann Rebecca Dolvin, daughter of James Dolvin, in Apr 4, 1837 at Greene Co., GA, USA. Martha Ann Rebecca Dolvin married Henry W. Houghton, son of Reuben Houghton and Nancy Burke, in Apr 4, 1837 at Greene Co., GA, USA. 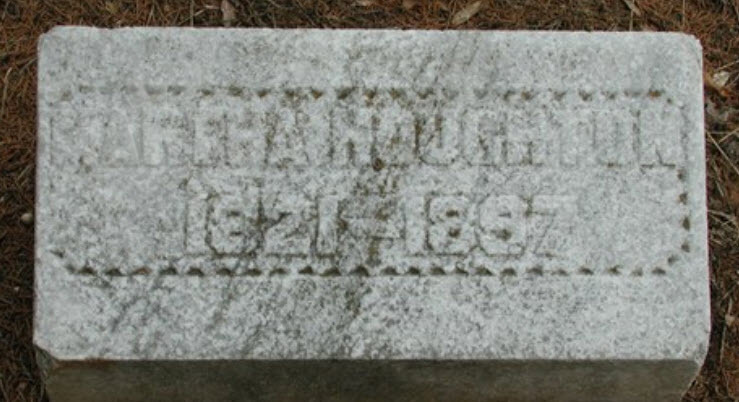 William Marshall Houghton married Mary Fletcher Smith in Jan 18, 1842 at Greene Co., GA, USA. Mary Fletcher Smith married William Marshall Houghton, son of Reuben Houghton and Nancy Burke, in Jan 18, 1842 at Greene Co., GA, USA. John T. Fox married Sarah T. Houghton in Apr 29, 1847 at GA, USA. Sarah T. Houghton married John T. Fox in Apr 29, 1847 at GA, USA. John Horn married Elizabeth Houghton in Dec 31, 1806 at Hancock Co., GA, USA. Elizabeth Houghton married John Horn in Dec 31, 1806 at Hancock Co., GA, USA. John Houghton married Ann Macon in Jul 8, 1813 at GA, USA. Ann Macon married John Houghton in Jul 8, 1813 at GA, USA. Joseph Mcbride married Julia Fowler Houghton, daughter of William Houghton and Elizabeth Burke, in Jan 20, 1810 at Jasper Co., GA, USA, Temple: 1818. Julia Fowler Houghton married Joseph Mcbride in Jan 20, 1810 at Jasper Co., GA, USA, Temple: 1818. Henry Kellim married Elizabeth Houghton in Dec 4, 1821 at GA, USA. Elizabeth Houghton married Henry Kellim in Dec 4, 1821 at GA, USA. John F. Goneke married Lucy Ann Houghton, daughter of William Houghton and Elizabeth Crutchfield, in Jul 17, 1835 at Madison Co., GA, USA. Lucy Ann Houghton married John F. Goneke in Jul 17, 1835 at Madison Co., GA, USA. Joshua Houghton married Nancy Bailey in Aug 28, 1815 at GA, USA. Nancy Bailey married Joshua Houghton in Aug 28, 1815 at GA, USA. Nancy L. Lumpkin married Matthew Houghton, son of Joshua Houghton Sr and Nancy Bailey, in Sep 13, 1820 at GA, USA. Jane Lumpkin married Matthew Houghton, son of Joshua Houghton Sr and Nancy Bailey, in Jan 20, 1825 at GA, USA.